NBA wagering players looking to rack up some nice basketball handicap betting payouts this evening should scope out Wednesday night’s Denver Nuggets vs. Boston Celtics pairing. This inter-conference matchup pits two teams vying for a playoff spot against each other. However, there’s no use denying the fact that Boston is the better team. What will the sports parlay odds predict for this evening’s contest? The Nuggets fall into this Wednesday night matchup sporting a 15-12 record that ranks Denver 2nd in the Northwest Division. Additionally, that so-so record ranks Denver 4th in the Western Conference. At the current time the West is led by the 21-4 Houston Rockets – a team the Nuggets will have a hard time catching up to. Nevertheless, all Denver needs to do to classify 2017 as a success is make the playoff cut. And in order to do that, the Nuggets just need to maintain their current ranking in the West. Denver last took to the court to face the Detroit Pistons in a 103-84 lopsided road win. However, the Nuggets are 2-3 in their last 5 so top sportsbooks will likely side against them in this evening’s Denver Nuggets vs. Boston Celtics match. The Nuggets, like the Celtics, have one of their stars on the injury report. Will Barton is currently listed as day-to-day on the team’s report. Barton leads the team in points as he’s averaging 15.5 points, 10.6 rebounds, and 4.6 assists. 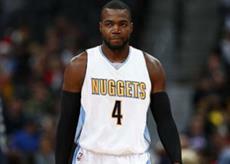 In case of his absence, Denver will turn to Paul Millsap for some extra contributions. The Celtics have been having a great season since Boston is 23-6 at the present time. Furthermore, that stellar record gives Boston more wins than any other team in the league, so there’s that. However, the Celts are 1-2 in their last 3 games, leading some top sportsbook sites to ponder whether they’ve hit a slump. And with Kyrie Irving listed as day-to-day on Boston’s injury report, there’s no guarantee that Boston will come out on top this evening. They certainly have the talent to overcome a sidelined Irving, but it’s still a tossup. If the money line comes out heavily against Denver, taking the Nugs over Boston might not be a bad idea. Since Irving is Boston’s leading points-scorer, the Celtics will without a doubt need the rest of their roster to pick up the slack this evening. So far it’s not clear whether or not Irving will be out, but this uncertainty is one of the most important things to point out in this matchup. Jaylen Brown is Boston’s second-leading contributor in points. Brown is putting up 14.6 points, 5.9 rebounds, and 1.3 assists per matchup. Thirdly in points for Boston is Al Horford, who also appears on the injury report. If Horford is out, Jayson Tatum will be expected to step up.